We have a FUN event coming up next Thursday evening that I hope you can make it out too! 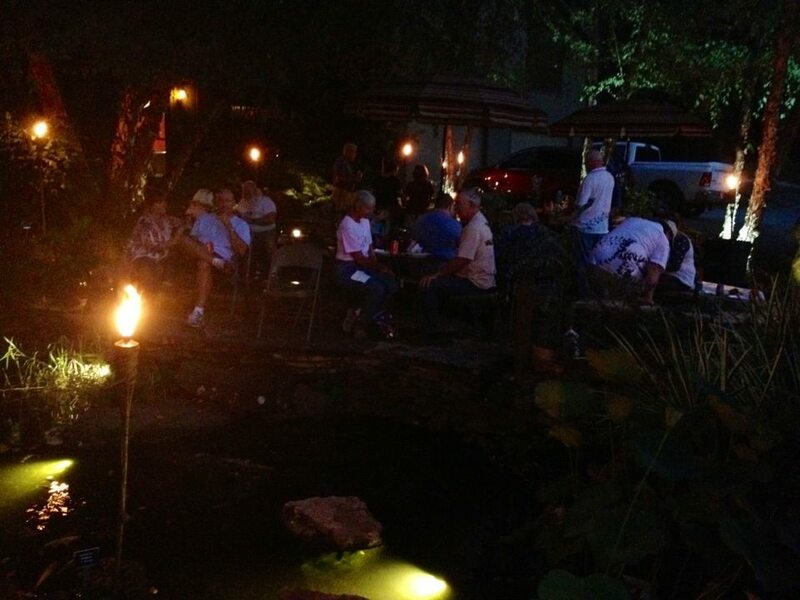 We call these events – ‘Evenings By The Pond’ and they are a great venue for Outdoor lovers and pond lovers to socialize together, talk about their plants and fish and enjoy each others little piece of PARADISE. 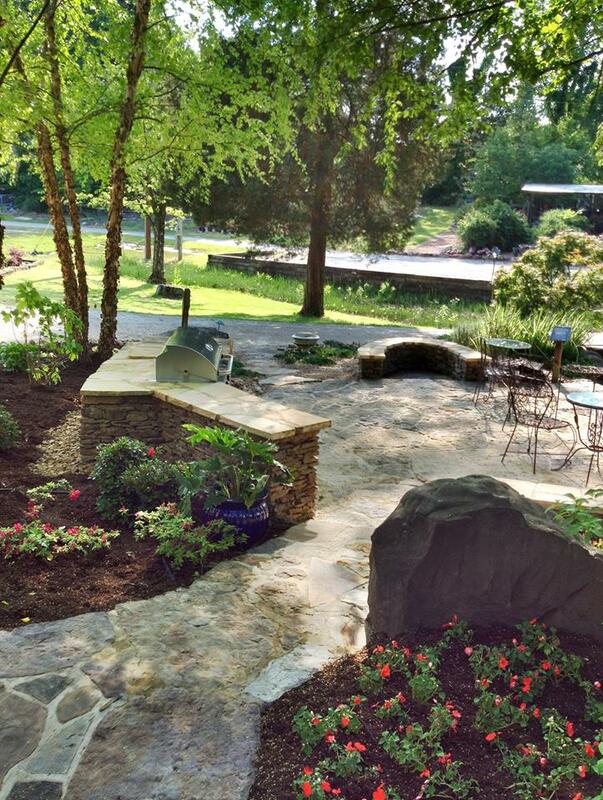 We will fire up the grills in the outdoor kitchen and cook some great food for all that come! The Ponds, Gardens & Nursery will be open for your private enjoyment & You are invited to come out & partake in some good food & fun. Shane & the guys will be there to have an educational discussion on the lighter side about water features too, so If you have a water feature and want to talk a little shop, or would like to see what one is all about, this is a great chance to find out. Bring a friend or two and come on out! 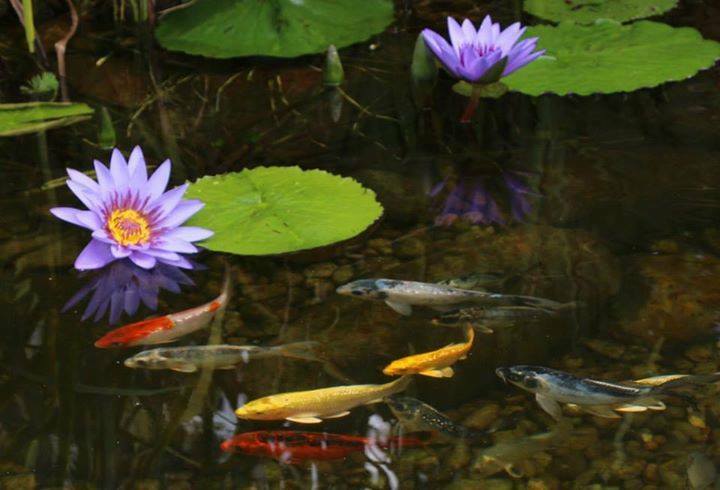 relax by the pond and enjoy the beauty of the aquatic plants and koi. Give me or Jo a call at the Nursery 1-731-424-2206 to let me know your coming (RSVP) and I will make sure there is plenty of food for ALL! Come join us for a ‘Evening by the Pond”. Great guest speakers, information on creating your own butterfly garden & a LIVE BUTTERFLY RELEASE are on the agenda! Bring the kids AND bring a CAMERA! Don’t miss this one! Call for more info and to get your name on the list for a Butterfly to Personally Release! #731-424-2206 – ask for Jo. 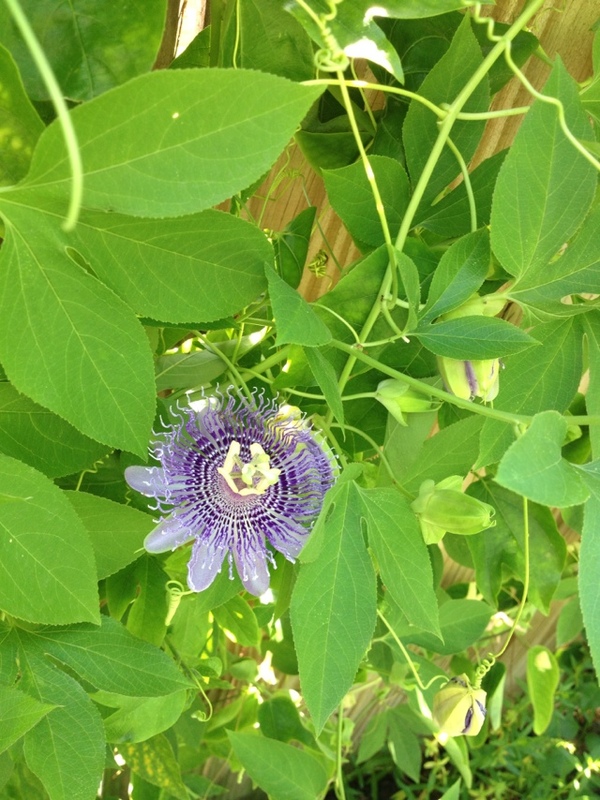 The Passion Flower is a very important host plant for Butterflies. Learn about plants that help the Butterflies. Mrs. Betty is a Master Gardener and Butterfly Enthusiast. She will start us off with a great Garden Workshop about Host Plants, nectar plants and how they work with the Butterflies in your Garden. The class will be followed by a Q & A with Mrs. Betty & Mark Carter (landscape designer at Carters Nursery). Then we will be working with Mrs. Betty & Mrs. Jo doing a LIVE butterfly release in the Butterfly House. 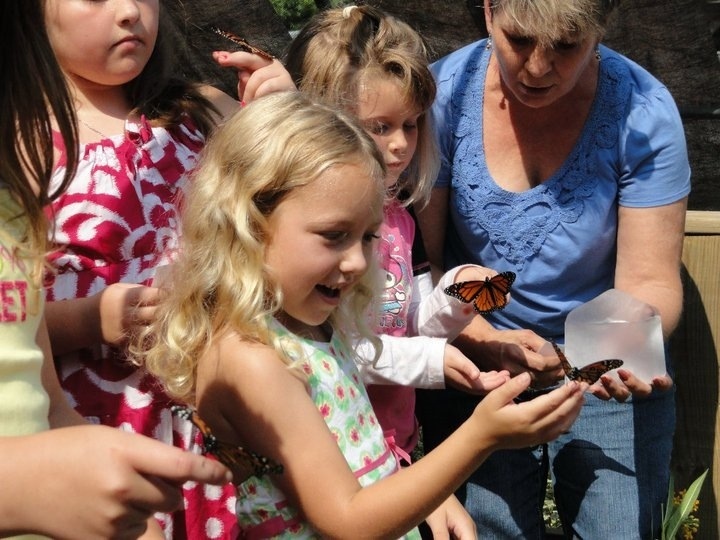 Our annual Butterfly Release is a don’t miss event! Set your calendars & don’t miss this AWESOME Educational Workshop! As a matter of fact – Bring the whole family! Your KIDS will love this! WHEN – Saturday, June 4th. Starting at 9am. The Presentation will run approximately 1 1/2 – 2 hours. 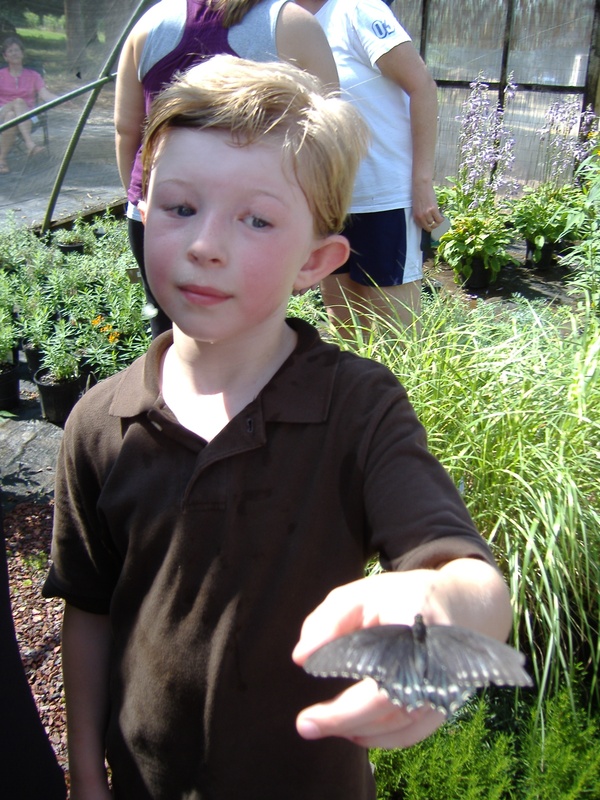 WHAT – We will learn about our beautiful friend, the Butterfly! We will learn about the life-cycle of the Butterfly, their host plants, their impact on our environment and how to attract them to YOUR GARDEN! Butterflies AND Butterfly Plants will be available at the workshop. AND there will be a LIVE BUTTERFLY RELEASE during the Program! HOW DO I REGISTER – It’s Easy! AND It’s Free! Just call the Nursery at 731-424-2206. Tell them how many will be with your group and your done! There will be a limited # of butterflies available for kids to release – IF you want to be on this list, CALL ASAP! These slots will fill quickly. Bring a folding lawn chair if you like. I hope to see you all there! It’s going to be AWESOME! PS: Bring a CAMERA! Unbelievable photo opps!